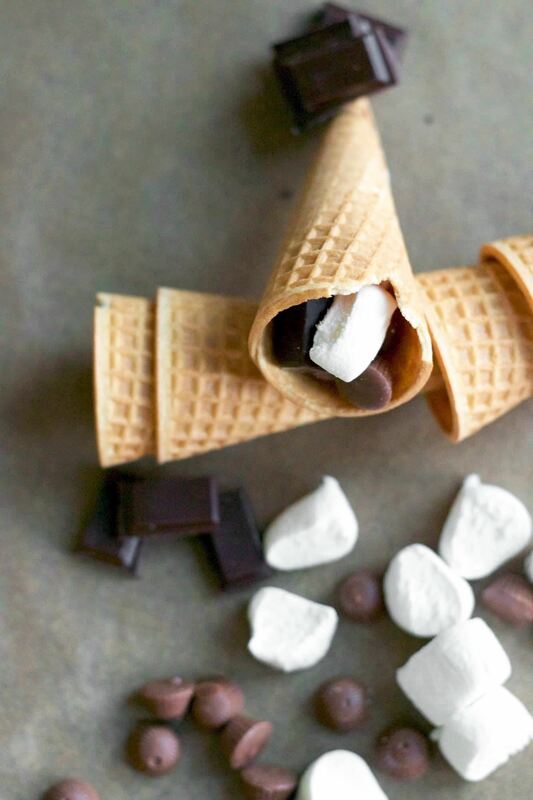 The most genius summertime snack hack that we've come across recently is, without a doubt, the campfire cone. Astounding in its simplicity and ease of preparation, yet brilliant in its execution, the campfire cone has something for everyone: parents and children, expert and novice campers, backyard barbecuers, and oven lovers alike. Hold on to your sunhat, because Nick went so far as to exclaim, "It's better than an actual s'more!" We'll let you be the judge, but be forewarned: these tasty morsels can be impossible to stop munching once you've begun. Putting together the campfire cone could not be more straightforward. 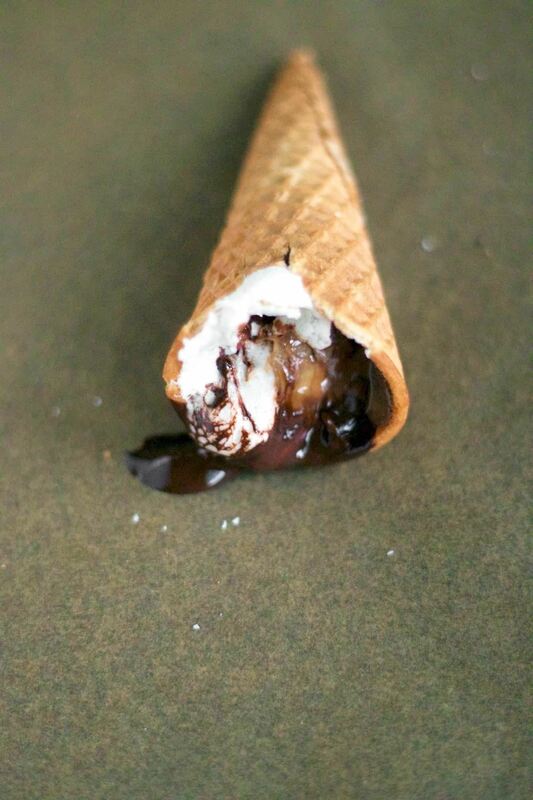 Simply place your ingredients inside the cone, then wrap it with foil. The fresh fruit can be added after the cone is heated—if you're not a fan of warm berries. 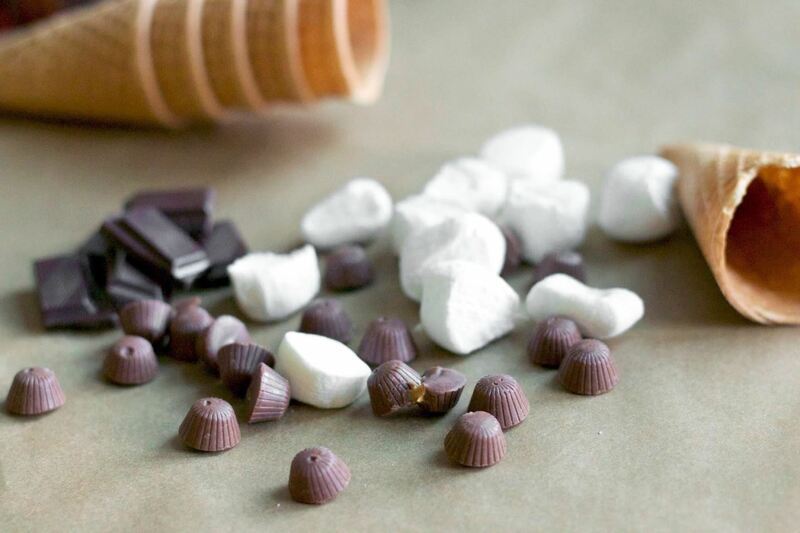 Over the campfire: Using tongs, carefully grasp the foil-wrapped cone and heat it over the fire for 3 to 5 minutes, or until the chocolate and marshmallow have melted. On the barbecue: Place the cones on the grates of a preheated barbecue for 6 to 9 minutes or until heated through and gooey. In the oven: Just put those babies right on the oven rack and bake at 350°F for 5 to 7 minutes. If you're worried about the melty sweetness seeping out of your foil, just put a sheet pan or piece of foil on a lower rack to catch the drips. 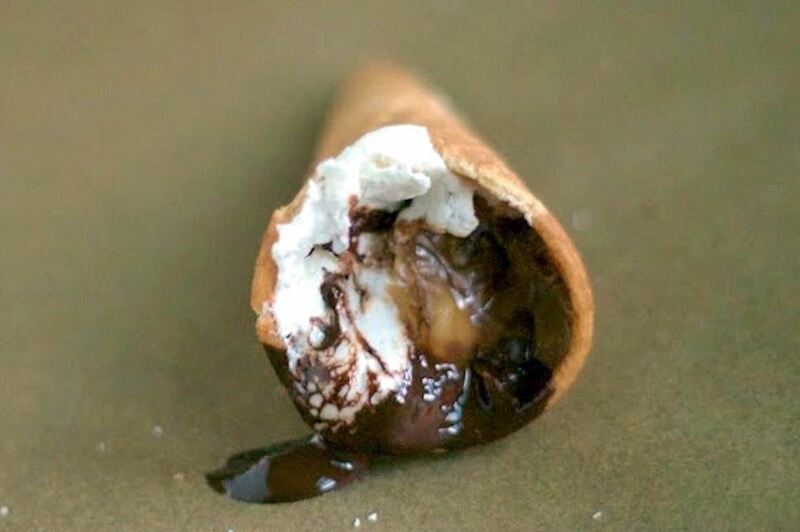 And there it is, in all its gloriously gooey goodness: the campfire cone. It's a nifty riff on s'mores that can be made at home or in the woods. Do you have a particularly cool way of making s'mores? A clever use for cones? Or do you just want to tell us how terrific this hack is? Hit us up in the comments!